Amazon Kindle: Is It The Best E-Reader Under $100? When it comes to e-readers, there is a lot to choose from in 2018. They exist in almost every price range and serve many different purposes. But, what if you want a no-frills e-reader that can handle some books, maybe an audiobook or two, and has good battery life without breaking the bank? Thankfully Amazon has your back. Amazon's range of e-readers is truly impressive, coupled with access to essentially the largest ebook store on earth, they're hard to beat, but if you don't need backlighting, water resistance, glass screens or physical buttons, and instead are looking for something inexpensive and durable, have we got the e-reader for you! The Amazon Kindle is Amazon's entry-level e-reader, and although it's lacking the more expensive features of its cousins, it's surprisingly rich with options, and best of all, it only costs ~$79.99! 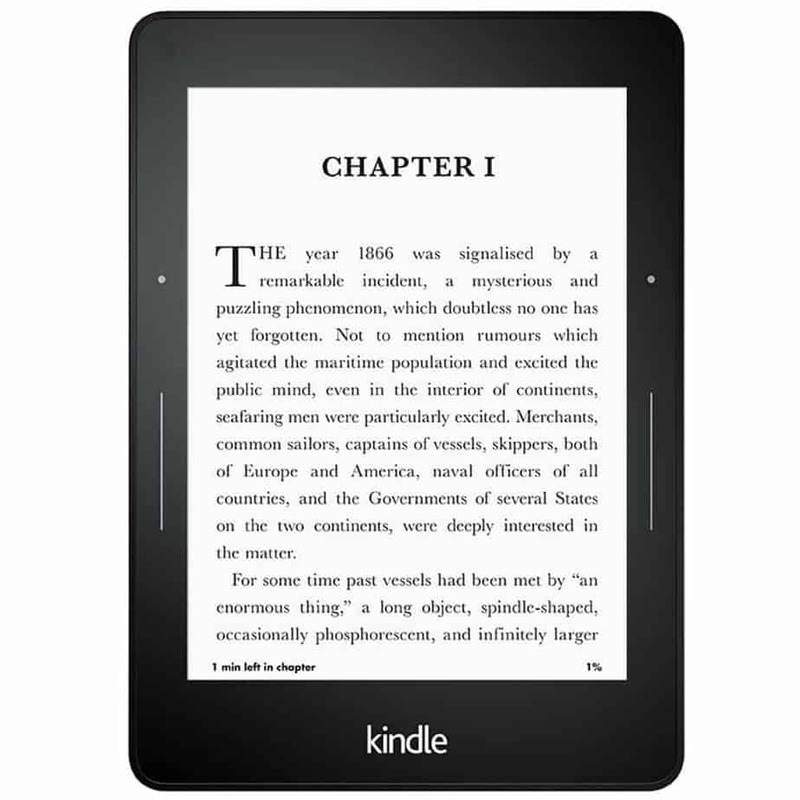 The Kindle has an all plastic body with a plastic, 6", e-ink screen that's recessed into the frame, with the iconic Amazon logo emblazoned on the front. Normally I gripe about plastic screens, and I'm not typically a giant fan of recessed screens, but it does have some advantages. One excellent thing about a recessed screen is the fact that it's really difficult to break. If this is a device that a child is using, it's likely going to take some drops. If any of those drops are face down, you can confidently pick it back up knowing that there is almost a 100% chance that your Kindle is just fine. The body of the device also echoes durability. Thick plastic houses all of the components as well, meaning that corner and side drops are also not likely to damage your Kindle. Since this is a device that you don't want to worry about, Amazon made sure it could take a beating. Amazon also wants you to have the experience of holding a paperback book, meaning that you'll likely be comfortable holding this with one hand, so durability is essential. The display of the Kindle is a mixed bag. On the one hand, it's e-ink which I am a huge fan of. 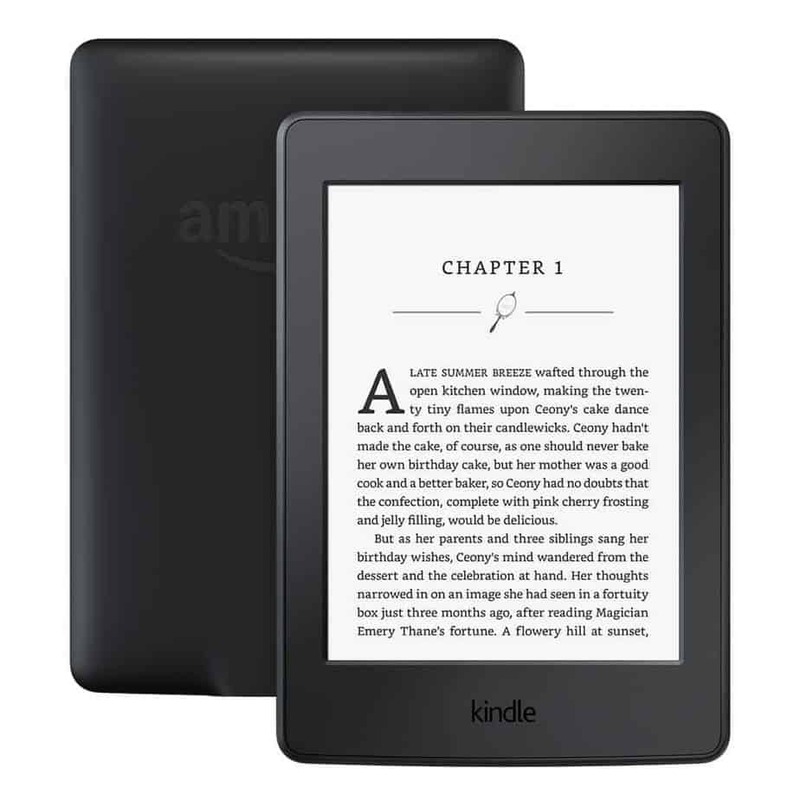 E-ink is a technology that basically displays an image, and then no additional battery is consumed unless something on the screen changes because it's a static image, meaning that Amazon can get away with huge battery claims as well as an easy reading experience. That's where the good stops though. Unlike the 300 ppi displays that grace the other Kindle devices, the entry-level Kindle comes equipped with a 167 ppi screen, so just under half the quality. For ~$79.99 we can understand that some corners need to be cut, but on a device meant for reading, we wish that that corner wasn't the display. On the other hand, keep in mind that this isn't going to be something that you watch movies on or message your friends. This won't even run YouTube. Because its sole purpose is for reading, you may not notice much of a difference in quality between this and the letters on a paper page of a real book. If however, your eyes aren't so good, this may be something to consider when looking to purchase. 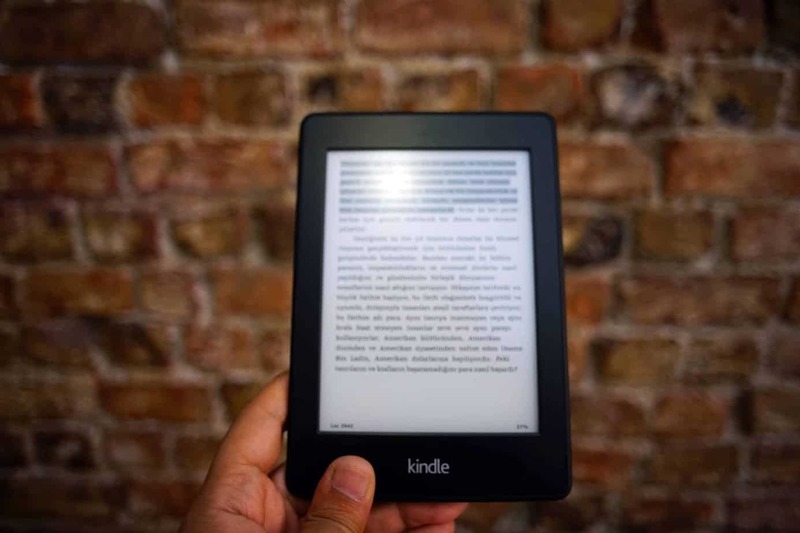 While most Kindle devices include edge lighting, which emits a soft glow that makes reading pleasurable, even in the dark, the entry-level Kindle does not include this feature. Because of its low price tag, this is a very basic device. If you are coming from physical books this won't be much of a problem. if you keep this on your nightstand like you would a book, and use either a lamp or a book light at night this will be a pleasure to read with and will eliminate the need to turn pages as you can simply tap or swipe the edge of the screen to turn the page. If you are someone who wants to toss this in your camping bag and read in the middle of the night, this may not be the device for you as you will have to either already own, or purchase a light that you can attach to the screen, and at that point, there are some slightly more highly priced devices that will do what you need and more. Because of the previously mentioned e-ink screen, the battery life on basically any e-reader is superb. They're one of the only devices with screens that are capable of weeks of battery life. This means that you can use it pretty much however you want to. You can leave it on your nightstand and read for a half an hour a night and get about 4 weeks out of this thing. You can take it with you to work and use it worry free on your lunch breaks, you can take it hiking and read while you unwind without worrying about charging. Your biggest problem with this device might just be forgetting to charge it! The Kindle is an odd duck, as it supports Audible over Bluetooth, something that the Paperwhite, Amazon's next least expensive e-reader, doesn't include for some reason. To use Audible, simply connect a Bluetooth headset to your Kindle and load up some audiobooks. This feature is great for someone who will be using their Kindle for one audiobook at a time. You have a dedicated device that is easy to use that will allow you to listen to all of your favorite Audible books in bed, at work or wherever you see fit. Do keep in mind though that storage is more of an issue if you are using it primarily for audiobooks. Still, if you're just listening to one book at a time and you generally have access to WiFi you won't be burdened much by this. Again, for $79.99 we find this to be pretty reasonable, especially considering that it's surprising that audible is included at all, considering that you don't see this feature again until a much higher price point. The Kindle includes a pretty standard 4GB of memory. The system takes up some space so you will be able to hold a few thousand books. The good news here is that you'll be able to carry around a selection of books that rivals a public library. Where you start running into trouble is in the Audible support. Audiobooks take us significantly more space, and you are looking at under 20 audiobooks for the same amount of storage space. Not too many people are going to be listening to more than one book at a time, however. If you aren't around WiFi very often is where I might consider looking at a different device. Unless you take a long time to finish a book or you only have a few you won't be able to cycle out the books you've finished for new books, which can be frustrating. If you're only reading standard e-books or you have consistent WiFi access you won't notice many problems. Like all of Amazon's e-readers and most e-readers in general, the Kindle comes with WiFi on board. This will allow you to sync your books across all of your devices while you are connected to the internet. Meaning that if you prefer to use a different device at work or out of the home when you pick up your Kindle you will be right where you left off seamlessly. The downside is the omission of cellular support. Most of Amazon's e-readers come equipped with free cellular data that allows you to keep your books synced basically anywhere. While a handy feature, we can understand why it was left out here. Who is this device for? For $79.99 the Kindle is for everyone. Even if you already own a Kindle device or you like to read with a phone or tablet. Everyone can benefit from a dedicated inexpensive device that you can leave on your nightstand, just like you might do with a real book. Kids will also enjoy this device if they like reading, and it's cheap enough and durable enough that you can leave it with them without worry that it will be destroyed as soon as you look away. And even if it is, it can be easily replaced by most. Who is this device not for? experience. The thing is that while Amazon included a lot of good features, the screen quality isn't the best and a recessed screen isn't our favorite for reading. A glass screen is much nicer to touch and look at and the standard 300 ppi that is included in the Paperwhite and the Voyage is much clearer and sharper than that of the 167 ppi screen on the Kindle. There are no tactile buttons or page turn sensors on the sides meaning that you'll have to touch the screen to turn the page, although fingerprints aren't really an issue here, it is nice to be able to rest your finger on a button and just turn the page when you're done. Don't like the Kindle? That's perfectly okay. Thankfully e-readers are pretty popular and there are a ton of options. 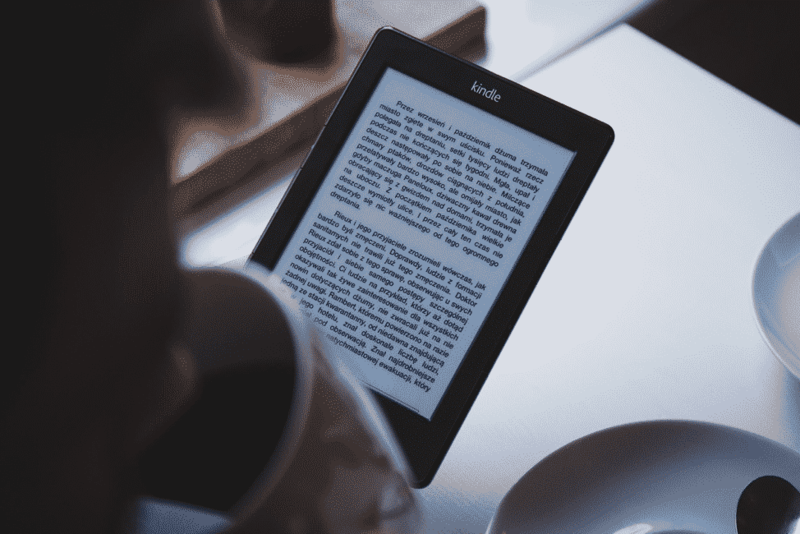 We have a comprehensive guide that you can check out that breaks down our two favorite brands (Kindle and Kobo) and compares the most popular e-readers in those two brands. If you are looking for something with better features that doesn't break the bank, the Clara from Kobo and the Paperwhite are our next best picks. If you need Audible, unfortunately, you'll be looking at the Oasis, a much more expensive device. Although it does have a lot more storage as well which will allow you to store even more audiobooks. If Audible is your primary way to consume books, you can also check out the fire tablets. They are Amazon's full color, Android-based tablets that are compatible with both the Kindle bookstore and the Audible store, at much lower costs than the Oasis. While Amazon has expanded its e-reader offerings over time, it's nice to see that it sticks to its roots with the standard Kindle. They've even gone above and beyond by adding support for Audible, but the truth is that any e-reader under $100 is going to have its flaws. 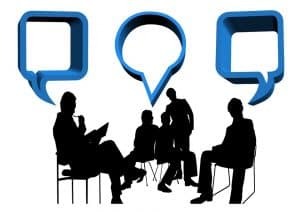 Relatively short battery life compared to other Kindles, lower storage, screen quality and lack of cellular support are all things that could potentially turn you off to the Kindle. If you can get past that though, there isn't another device that is in this price range. There are even some more expensive devices that aren't as capable as the Kindle. This is the quintessential every man's e-reader. It can take a beating, it's cheap and it grants you access to a huge library of books, right at your fingertips. It's more comfortable to read with and it's definitely an upgrade from physical books. It also makes a great Christmas gift. Or a good gift to someone heading off to college. Bottom line, if you are in the market for an e-reader and you aren't too picky or you have never owned an e-reader before, buy this one, you won't be disappointed. As usual, we'd love to hear from you. What do you think of the Kindle? Do you own one? Do you love it or hate it, and why? Leave us a comment below and tell us your experiences with the Amazon Kindle or even another Kindle or e-reader that you own.